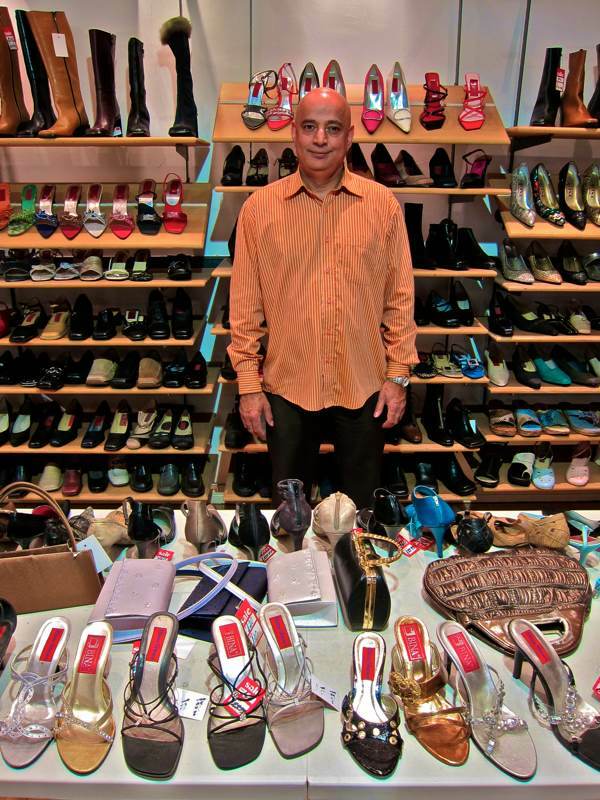 May I introduce Saeed Malik, the suave shoe seller of Wentworth St? If you are looking for something dainty and strappy to enhance your twinkletoes, then Saeed at Bina Shoes is your man. Sandwiched between the shops run by the African ladies that sell the ‘Wax’ fabric, Saeed can sell you the glamorous shoes and bags in multiple colours and metallic finishes to match these kaleidoscopic textiles. You might think that Saeed set up shop to complement the famous fabric shops, but Bina Shoes predates them all. When Saeed came here with his father, they were among the first Asians to open a stall. Theirs was just across the road from the current premises. Wentworth St was exclusively Jewish businesses at that time, yet Saeed saw them all depart in the intervening years. Working in the shoe trade for four decades, he has witnessed an extraordinary growth in his own family business and experienced the roller-coaster of the commercial world of at first hand too. “My dad had a shoe stall on the corner of Old Castle St in the seventies and it was the biggest stall here, and it was jam-packed with people buying. He was one of the first Asians and he had to put up with a lot of discrimination from the Jewish guys for selling on their territory. My father came over from Pakistan in 1961 but, instead of living within the Asian community, he found a place in Romford and we were the only Asians there. 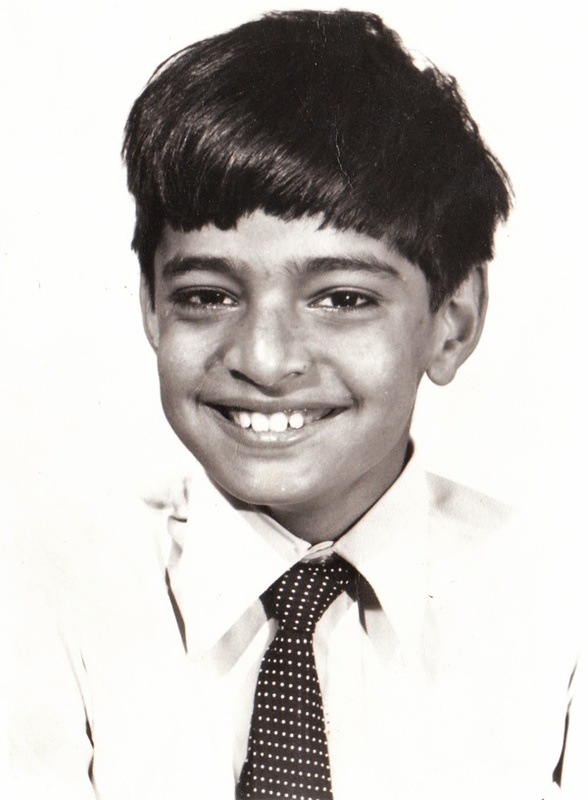 I was born in 1960, number five of seven children, and we came from Pakistan to join him in Romford in 1965. I joined the infant school, it wasn’t that bad. We got through it. When you are in the playground things could be difficult, but with my elder brother there I never had any problems. Romford was a safe place, it was the East End that was dangerous for us. There were punch-ups and scuffles in this area but my father always stood up for himself. He started off working for someone else and then he had his own stall in Romford Market. My uncle worked for a man who sold shoes, so he said, ‘Why don’t you do that?’ Romford was a busy market then and, as we lived there, moving the stock around wasn’t a problem. In those days a lot of people didn’t drive, but when I was sixteen my dad got an Anglia and he did Romford Market on Wednesdays, Thursdays and Fridays, and came here to Wentworth St to sell on Sundays. It was difficult to get a licence but he got one in 1976 when another guy gave it up. In 1978, we founded Bina Shoes. These were the days of platform shoes and we couldn’t sell them quick enough. It was a young people’s fashion, every teenage girl wanted it. They all wanted to look like rock stars and they could get it from the market at affordable prices. The business was growing and we started importing shoes from Italy. I had always helped out on the stall since I was twelve. It was a family thing, and everyone was involved and we loved what we were doing. The stall was a great outlet and soon we had two stalls, and we opened a warehouse in the Bethnal Green Rd where we stored stock from our Italian suppliers and sold wholesale. It was just across the road from the corner of Brick Lane where the National Front sold their newspapers on Sundays, but fortunately we weren’t around then. We got this shop in Wentworth St in 1983 and moved our stock to a larger warehouse in Shoreditch High St. Those were good days, when supply could not meet demand. People were happy, they had money and they enjoyed it. You had easy parking round here then and the area was thriving. If you couldn’t afford a shop, you could get a stall in the market and you’d go home with only half the stock that you brought. 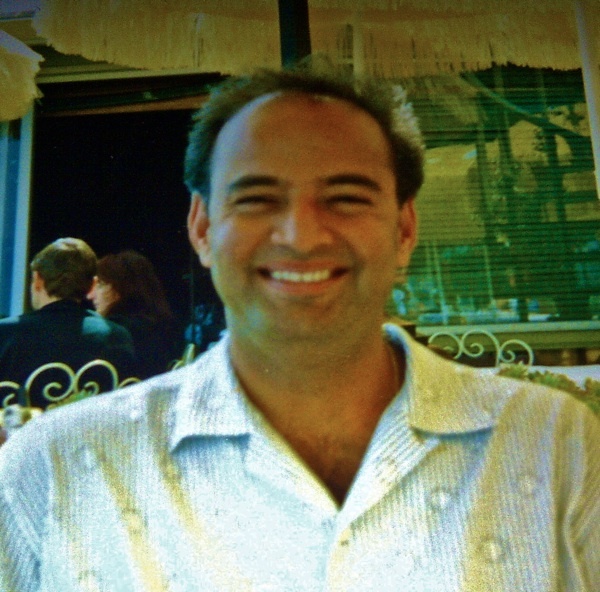 Today, Saeed has three sons aged seven, eight and nine that are the delight of his existence, and he commutes each day from his home in Hornchurch to his single premises in Wentworth St, when once Bina Shoes had four shops. Yet although the glory days of shoe-selling in the eighties are over and he no longer enjoys extended trips to Milan, Saeed is comfortable with this more modest endeavour. In spite of the set-backs, the business has travelled a long way from its origins as a single stall in Romford Market. 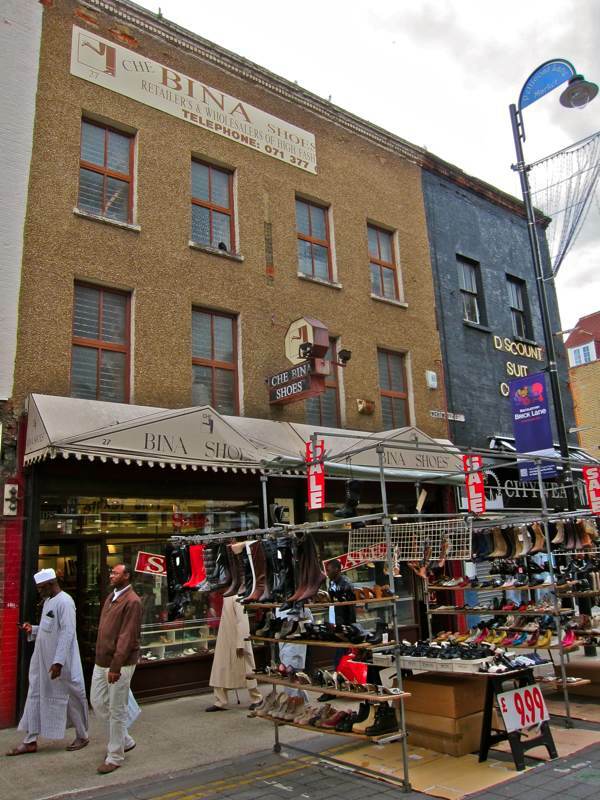 Now Saeed just wants to sell the two floors of shoes that he has filling the building above his shop. So maybe you can give him a hand with that? If you are looking for fancy Italian shoes at a keen price in Spitalfields, Bina Shoes is the place to look. 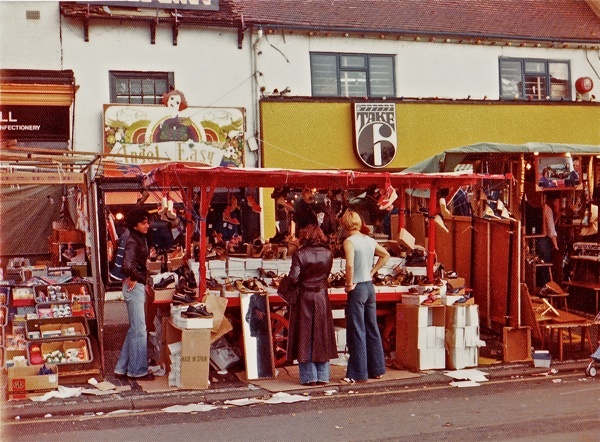 The shoe stall in Romford Market in the seventies. Saeed at twenty in Milan. 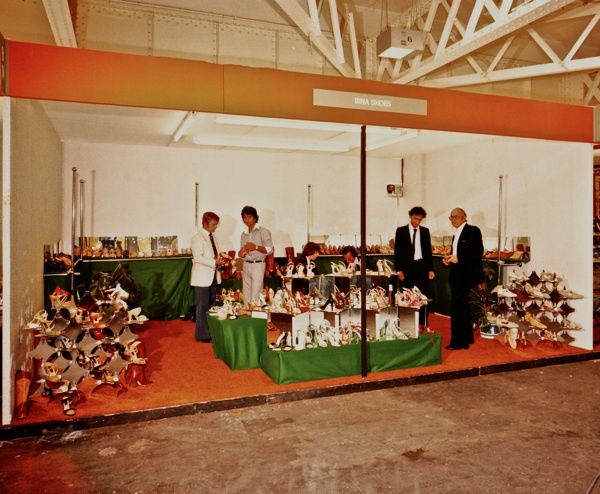 Bina Shoes stand at a trade fair in Earls Court in the seventies. 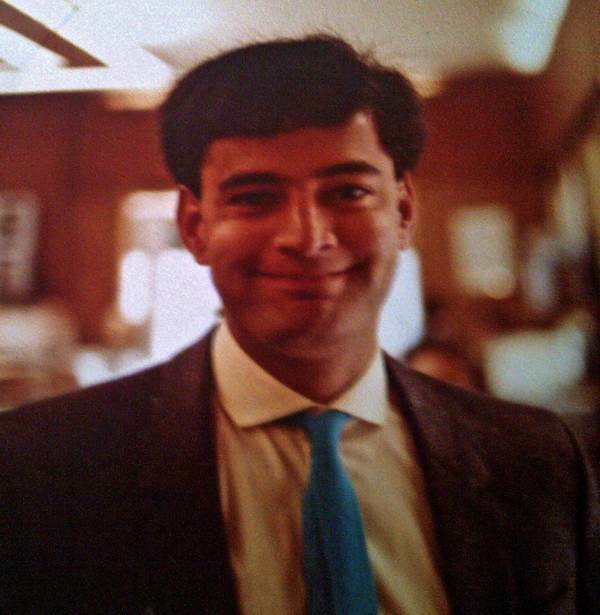 Saeed at thirty in 1990. Saeed at Bina Shoes today. 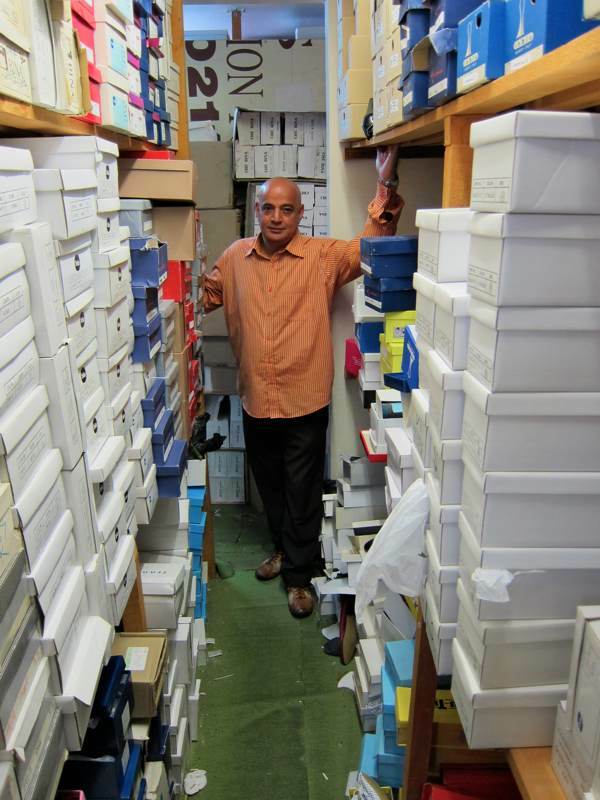 Saeed has two floors of stockrooms above his shop. Such a coincidence – I had a bag and shoes from Bina for my wedding in the mid 80s, red leather to go with my cream suit and red hat. I worked in the City but lived in Hornchurch back then and also knew Romford Market well!